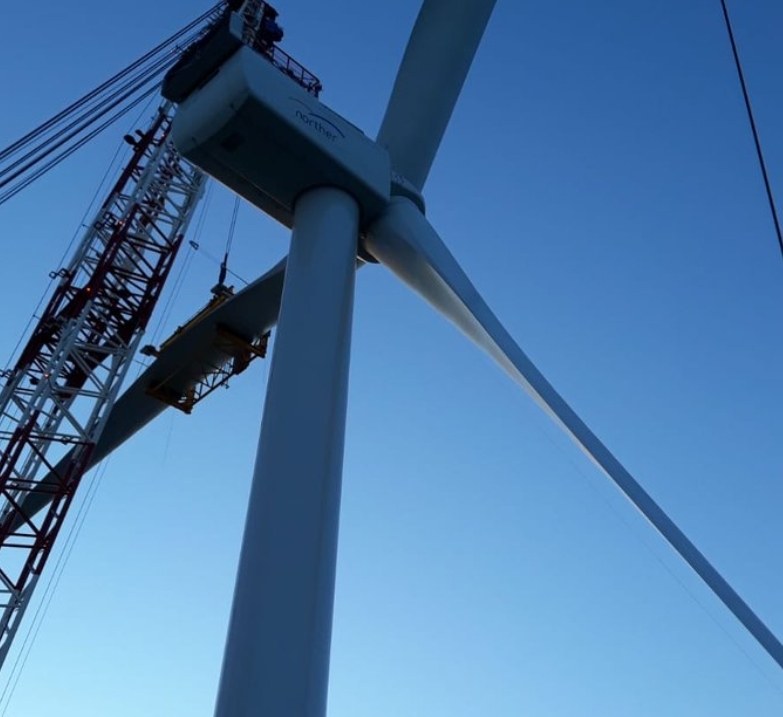 The first MHI Vestas 8.4MW wind turbine has been installed on the 370MW Norther offshore wind farm in the Belgian North Sea, Norther NV, the owner and developer of the project, said. The wind turbines are being transported in sets of four by Van Oord’s installation vessel Aeolus from Vlissingen in the Netherlands and installed at the site some 23 kilometres off the coast of Zeebrugge. The wind farm comprises 44 MHI Vestas 8.4MW units scheduled to be commissioned in the third quarter of 2019. Norther is the first Belgian wind farm to feature wind turbines with a capacity of 8MW or above and will be the largest offshore wind farm in Belgian waters once operational. Norther NV is a partnership between Elicio and Boreas, which in turn is a joint venture between Eneco and Diamond Generating Europe.